Aston Martin is shifting up a gear. With the launch of the brand-new ‘regular’ flagship, as opposed to the super-exclusive One-77 and Zagato V12 models — the company is preparing itself for a new era of model development while continuing to stress that evolution, not revolution, will always be its guiding philosophy. A clear sign of evolution is the use of the Vanquish name for the new model, which is due to be launched in the summer with the first cars ready for delivery early next year. The original Vanquish, shown as a concept in 1998 and built between 2001 and 2007, was the first Aston to signal a move away from traditional construction methods. This new edition introduces a much stiffer ‘Generation 4’ version of the adaptable ‘VH’ bonded aluminium monocoque chassis that arrived with the DB9 in 2003. It also introduces a completely re-engineered version of Aston’s 6.0-litre V12 engine, with variable valve timing, new heads, bigger inlet valves and throttle bodies, and new manifolds that boost power and torque. Most importantly, the revised engine meets forthcoming US clean-air legislation. For the first time in a series-production Aston, the outer panels are all formed in carbonfibre. The body design presents a fresh face because of the influence of the One-77, and is the culmination of a three-year project led by Miles Nurnberger, Aston’s chief exterior designer. Nurnberger acknowledges the car’s use of “simple” existing Aston cues (low nose, ‘moustache’ grille, steeply raked screen, exaggerated rear haunches), but describes the car as “more deeply sculpted” than previous Astons. The car sits on a skirt of exposed carbonfibre in reference to its all-carbonfibre body construction. It features an integral rear wing specifically designed to look — on the orders of Aston chief Ulrich Bez — as if it was impossible to make. Inside, the Vanquish gets an all-new cockpit design, still with a prominent centre stack, but with a suite of new hardware, including lighter and smaller screen, ventilation and hi-fi controls. 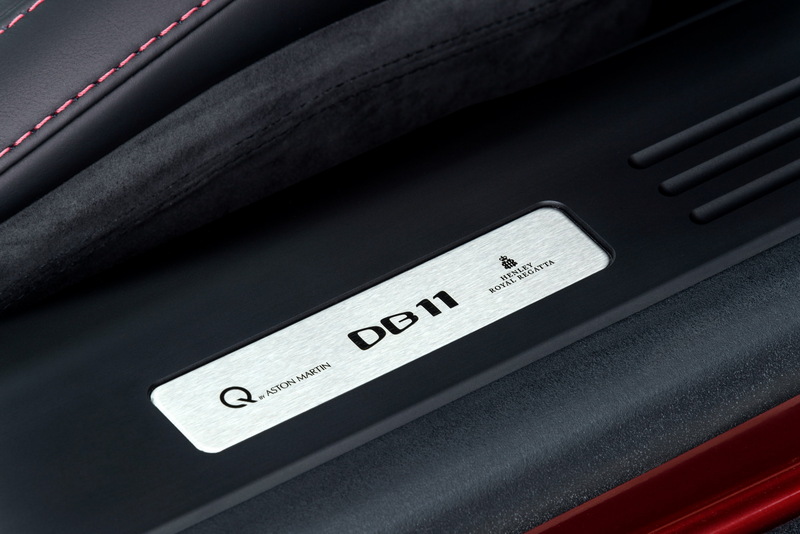 The DB9’s allegedly jewel-like instruments, seen in most Astons since 2003, get a new, quieter and more technical-looking set of analogue dials, which are much clearer to read. The fascia ‘volumes’ have been reduced and moved 20mm away from occupants to give more room and a feeling of airiness without losing the tailored feel. Aston is keen to keep the bespoke nature of its trim, with hand-stitching, rich colours and classy materials, but beyond that the list of possible variations is almost limitless. The Vanquish sits on an identical 2740mm wheelbase to the DB9 (which continues as core model) and the DBS it replaces, but is “a shade” wider, longer and taller than both models. 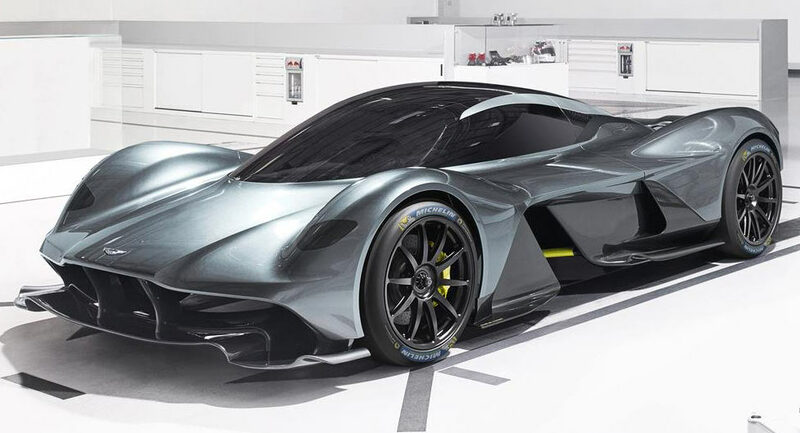 However, stung by suggestions that it keeps using a 10-year-old chassis, Aston engineers point out that in this first ‘Gen 4’ iteration, the new VH structure is 30 per cent stiffer than a DBS, thanks mostly to a new design of engine brace. The Gen 4 VH structure also uses improved anodising and bonding techniques, makes greater use than ever before of structural carbonfibre and features a boot space fully 60 per cent larger than that of a DBS (and 10 per cent bigger than a Bentley Continental’ coupé’s). You can clearly see that Aston Martin is run by Porsche's ex-boss. All cars since the old Vanquish have looked the same with minor differences. Not that I'm complaining because they are all drop dead gorgeous. However, the top speed of 183mph and a 0-62mph time of 4.1 secs with 565bhp on tap seems like a hugh step backwards. Not right for the flagship GT of a company which should be fighting for top honours with Ferrari, Lamborghini, Porsche and Bentley. Aston Martin has revealed a one-off DB11 which celebrates the brand’s partnership with Henley Regatta. 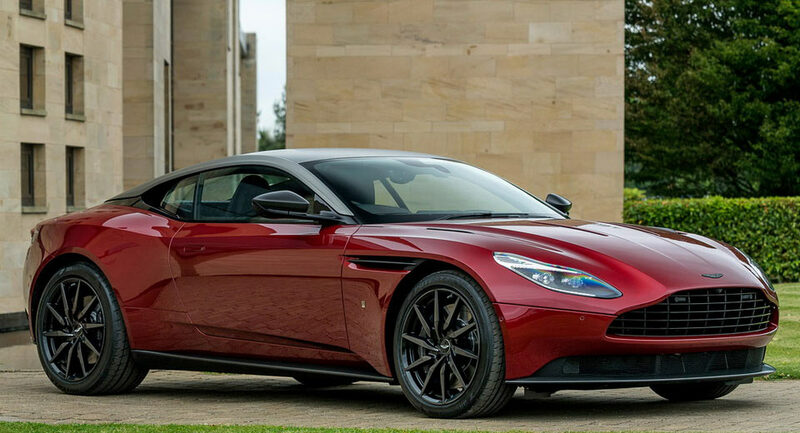 Though the new one-off is not as outlandish as the brand’s other aviation-themed special editions of recent months, the Henley Regatta DB11 is set apart by its bespoke Diavolo red paint finish, interior specifications and a carbonfibre Aston Martin badge. The two carbonfibre packs applied to the one-off DB11 finish the front splitter, side sills, rear diffuser, side strakes, hood blades and mirror caps in the lightweight material. On the inside, it’s just as restrained with most of the interior finished in black leather, red leather highlights and black Alcantara covering the headlining. A pack of chrome interior detailing is also fitted to the inside and a plaque on the door sill sets this car apart as the Henley Royal Regatta one-off. This is the latest project finished by Aston Martin’s bespoke ‘Q by Aston Martin’ division which in the past has created several high-profile special editions.